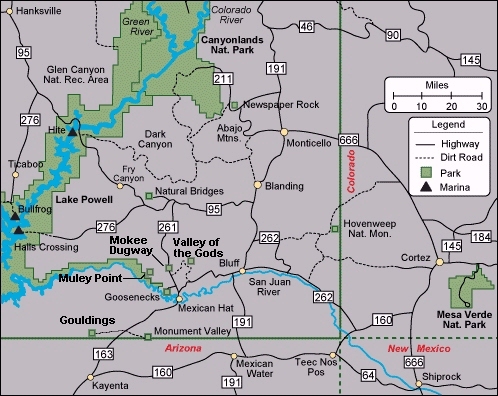 We like this route from Mesa Verde NP to Hwy I-40. 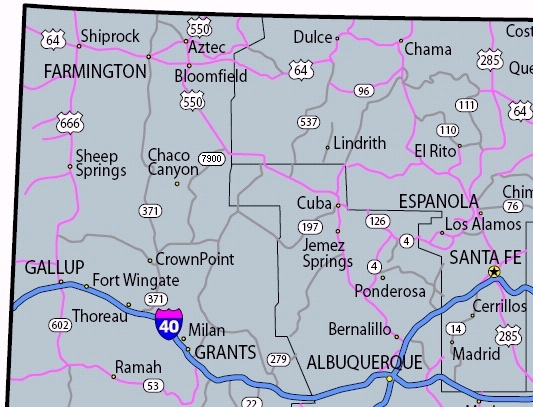 Go south on NM Hwy 666 to Shiprock, then east on Hwy 64 a short ways to Farmington. 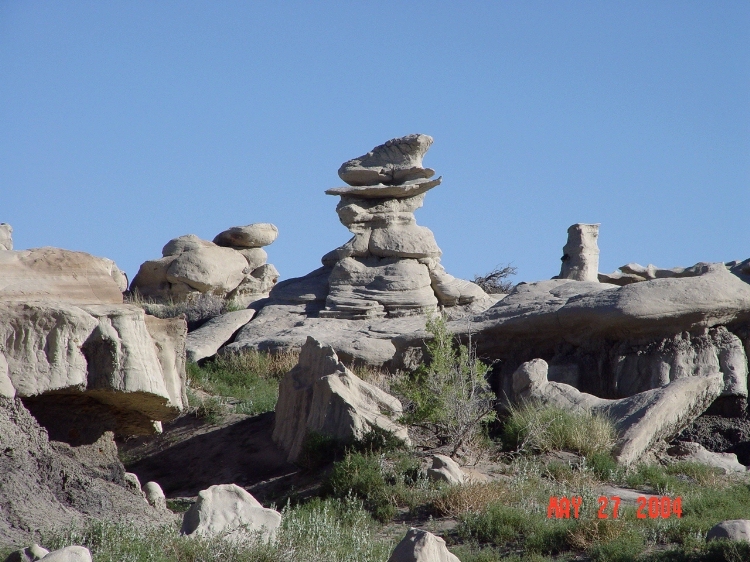 Then south down Hwy 371 for the nice drive thru Bisti De-Na-Zin where you can see hoodoos along the roadside, to Hwy I-40. 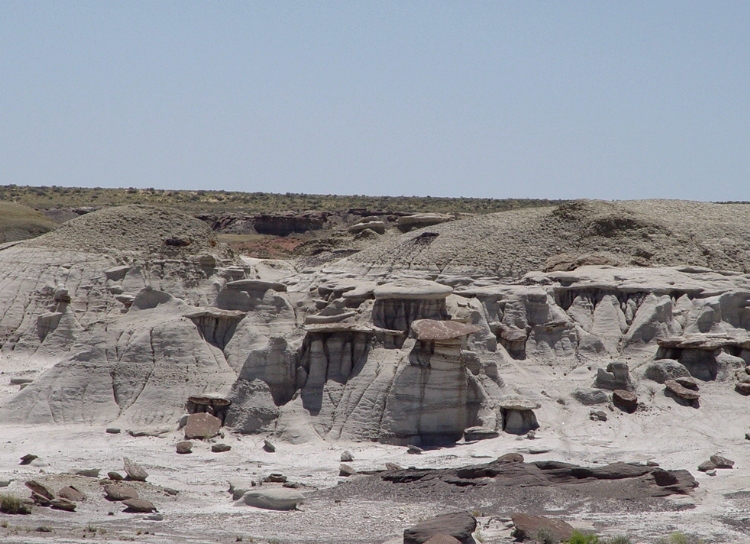 But there are a couple of great stops that you should make before leaving Four Corners and New Mexico -- Chaco Canyon and Bisti/De-Na-Zin Wilderness. 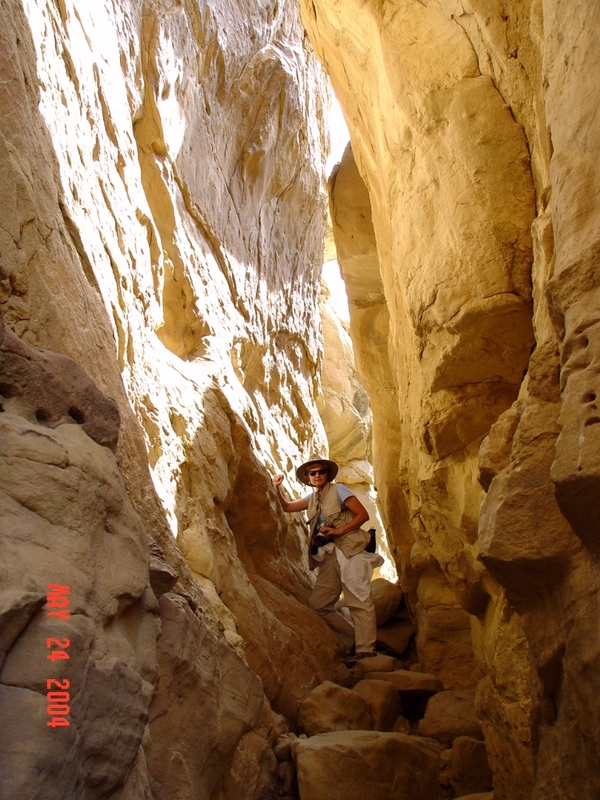 A highly acclaimed park, a wonderful park and it is a World Hertage Site along with nearby Mesa Verde NP (see page 4) and Grand Canyon NP. 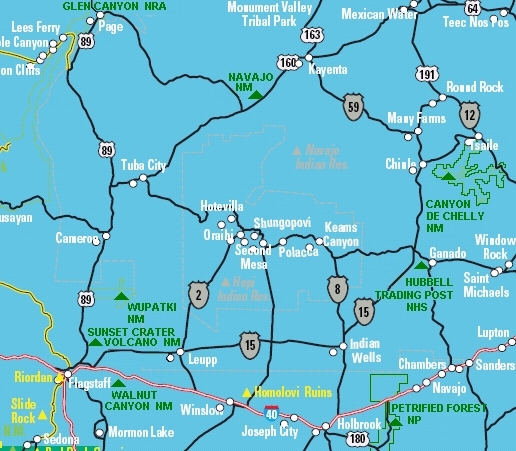 BUT the nearest lodging is about 50 miles away in Bloomfield, east of Farmington (there is a no-frills, no-hookup campground in the park for campers); it takes a couple of days to see the park; and the last 16 of the 50 miles is washboard dirt road. Video clip -- even with air ride on our coach the washboard road is real obvious and made more obvious by Jan. Much easier with lighter cars and pickups as they whizzed by our heavy rig. Jan and I tried entering the park from the south on Route 9 but, "Unless you are a local Indian and know all the rough dirt trails, you won't get there," sez the Sheriff of Crownpoint as we quarried him about the roads. We went in from the north. 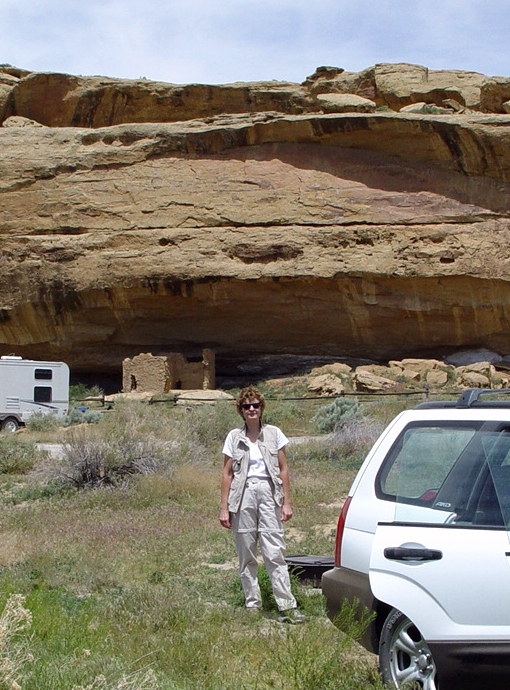 On leaving the Chaco Canyon, crossover west to Hwy 371 and there are couple of short cuts. 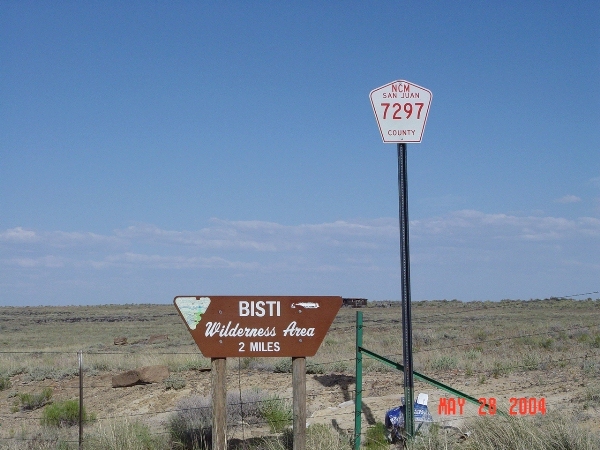 We like CR 7500, an interesting dirt road that leads down the back side of Bisti to Hwy 371, see map. 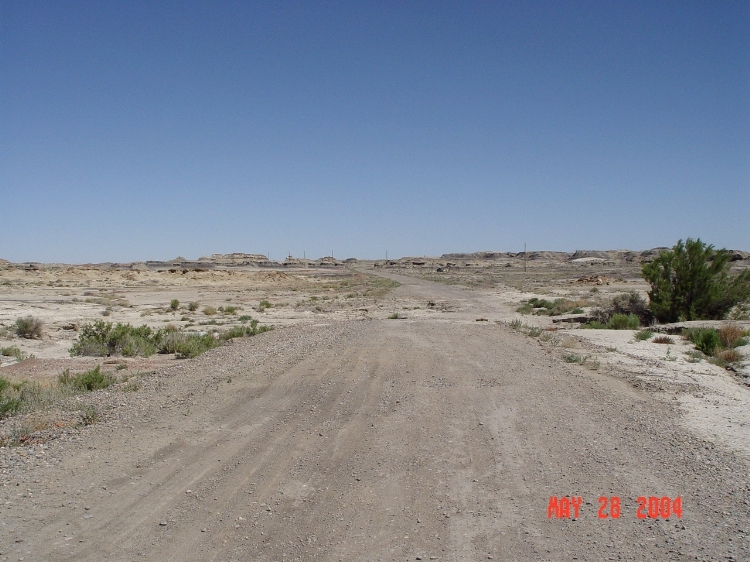 Ask locals for current dirt road conditions. 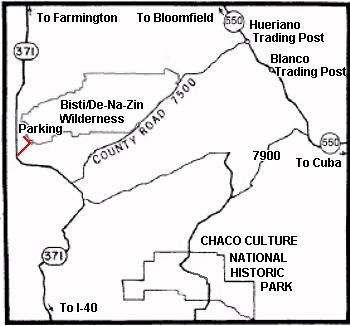 The other short cut is the first paved road going west and is farther north. 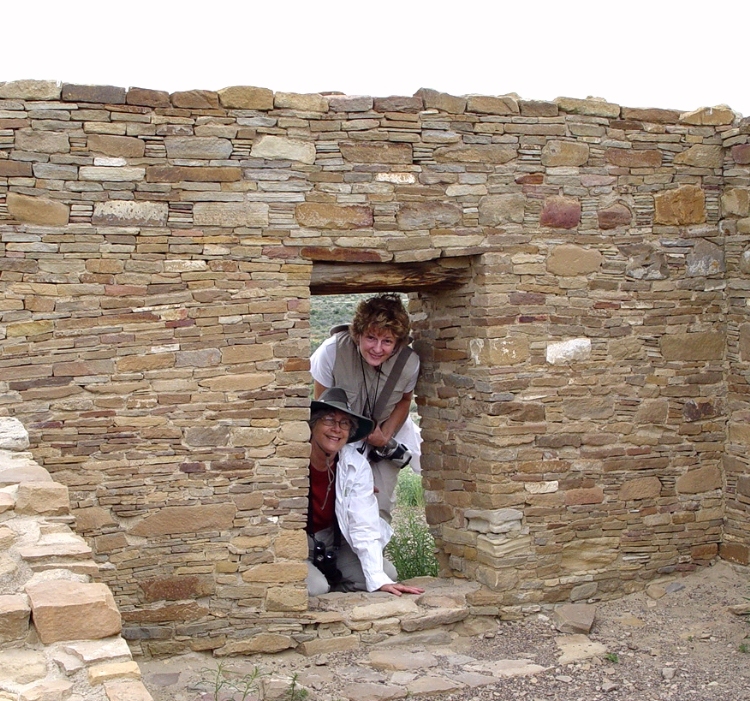 Since you will be seeing the Mother of all Anasazi Pueblos, you can pass on Aztec Ruin NM. 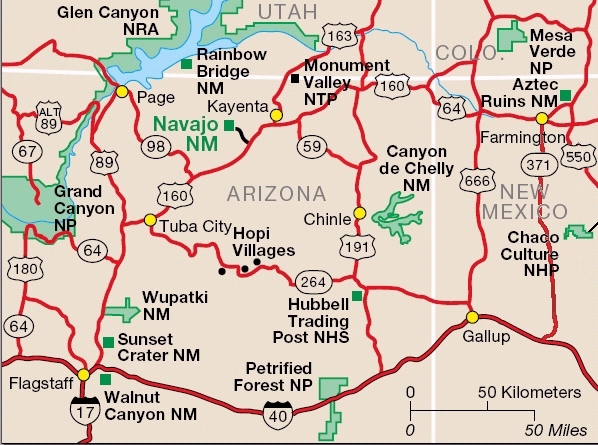 Not shown on neither Four Corners nor the New Mexico maps is Bisti De-Na-Zin. 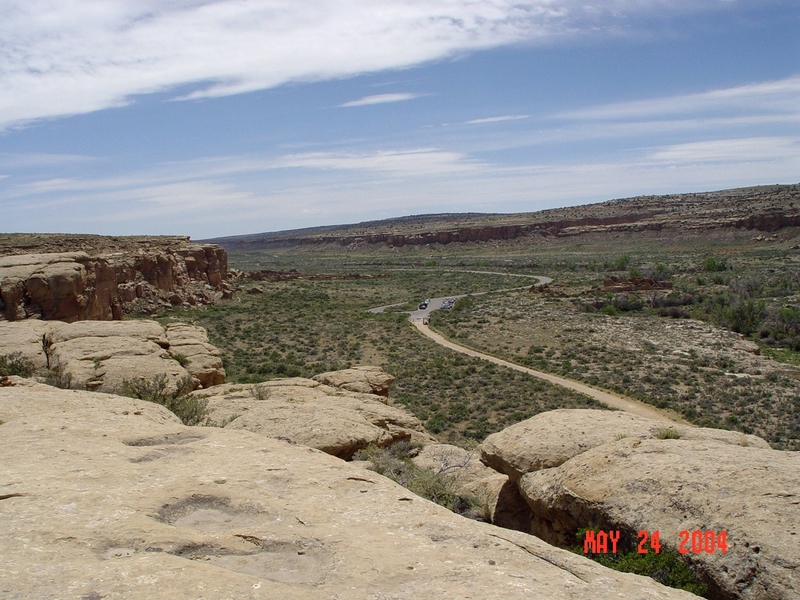 It is off NM Hwy 371 and is just northwest of Chaco Canyon. It is one of those wonderful and esoteric jewels I found while surfing the net. I give it a gold star and it is a short visit. 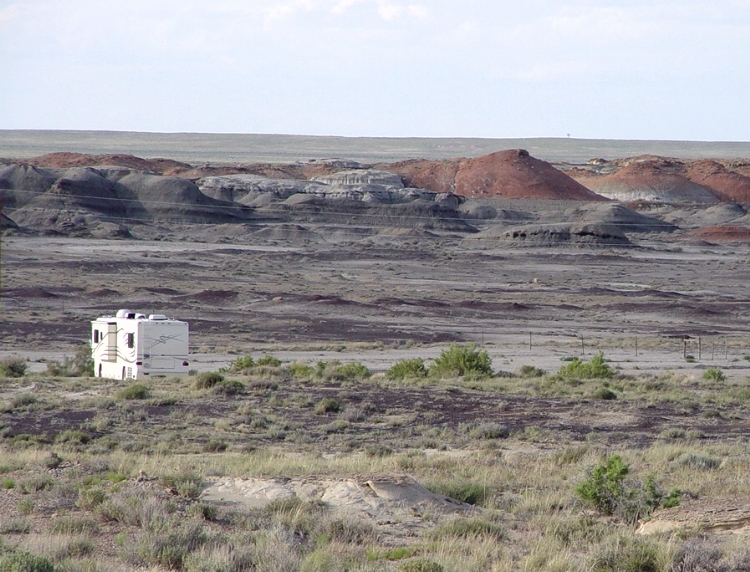 It is on BLM land where camping is free (usually but not always). 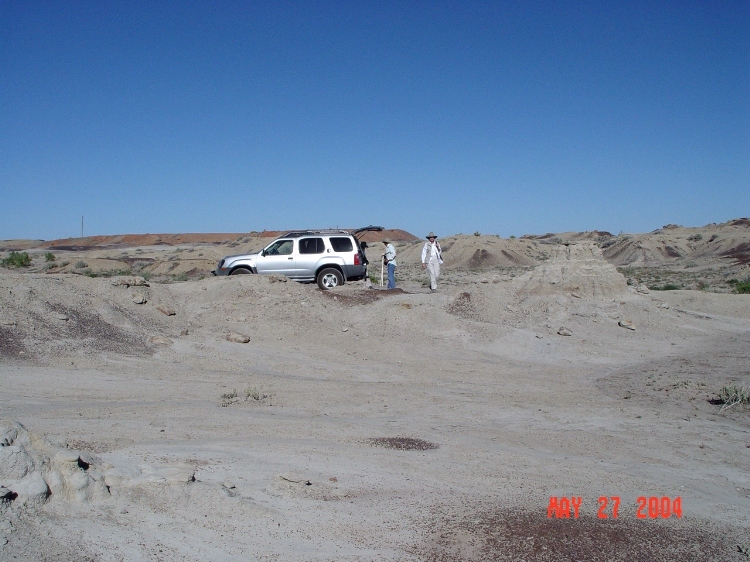 Going into Bisti to see the hoodoos, the road into the area is shaped like the letter "L." See map. 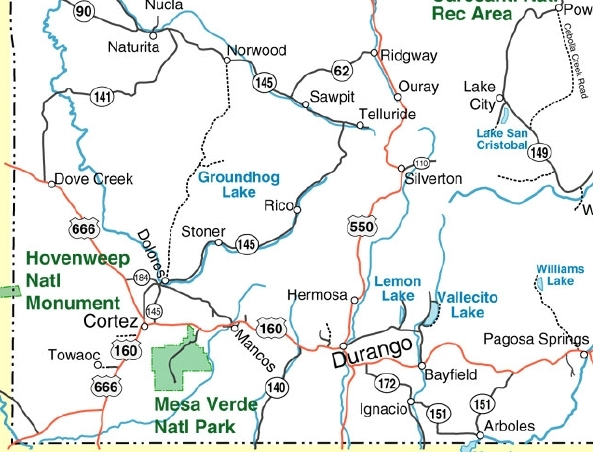 It is 8 mile north of the intersection with CR 7500, (or if you are driving south on Hwy 371 from Farmington, it's about 36 miles) watch carefully for small signs. Turn east on CR 7297 and continue about 1.5 mile to a "T." Turn left, north, on the shorter leg of the "L" and go up the road for about 0.5 mile, past the parking area on the right bordered by a fence. 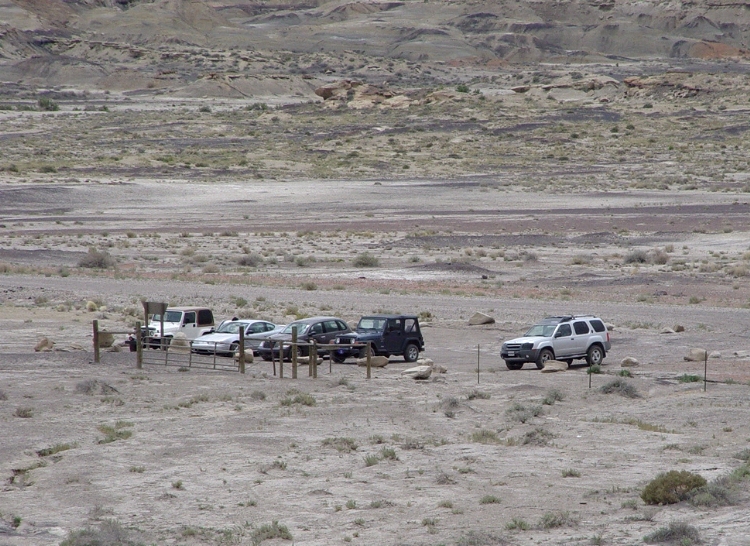 Just after the parking lot and before the hill, look for a trail on the left and then find any place to park. Then grab your camera and stroll around hoodoodom. The existing trail where we parked has lots and lots of tire tracks (hoodoodat?) so I am sure it is OK to park there. 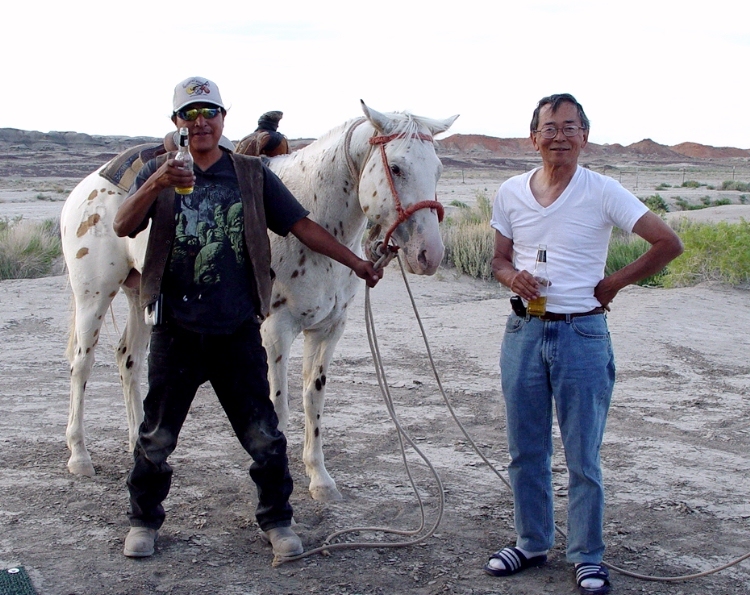 There are no rangers about, no visitor center to ask hoodoowhatwhere, and no signage. 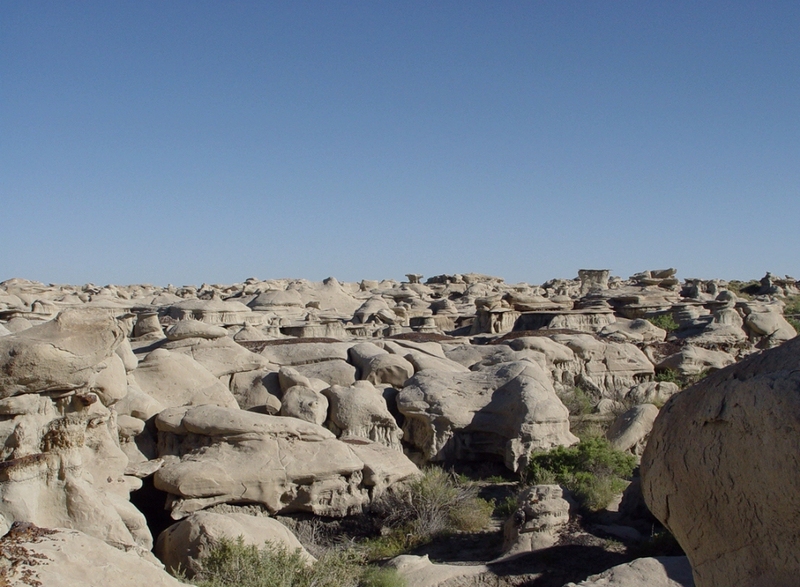 When you leave the Bisti, head south to Hwy I-40 and to the end a of a marvelous journey into the past but it is the beginning of another. 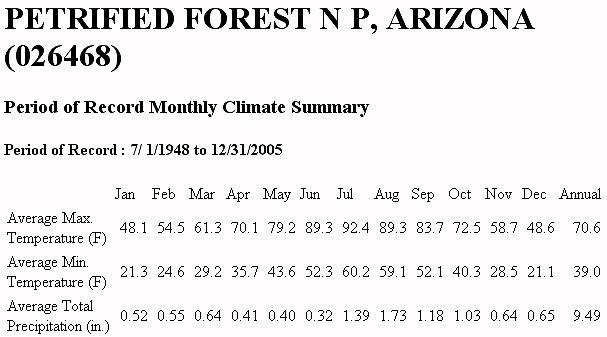 The summer weather from Petrified Forest to Monument Valley is very similar. 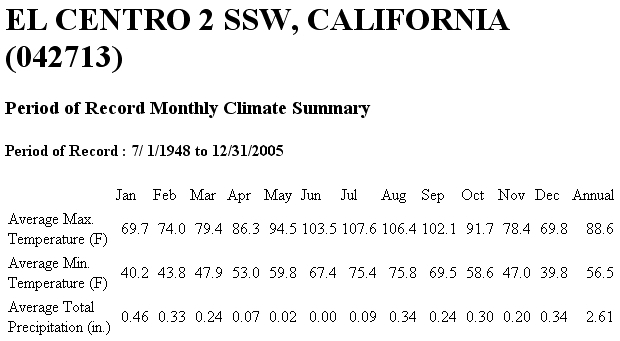 At 6000+ ft elevation, it is a little too warm for us coastal Southern Californians. 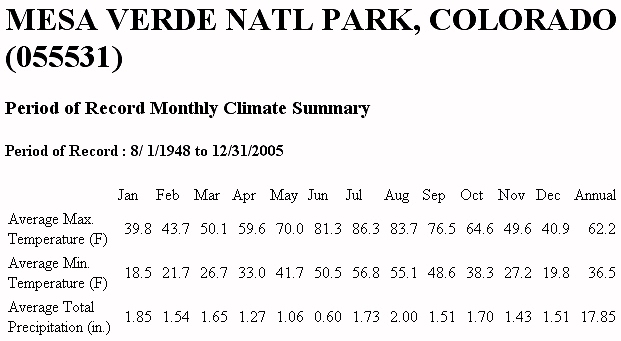 The average tempurature is 6 degrees cooler in Mesa Verde at higher altitude. 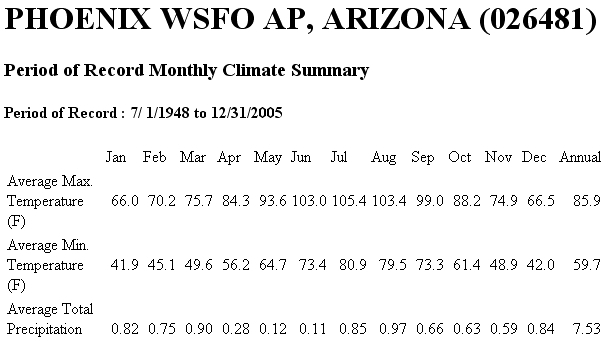 But getting there is another matter -- Phoenix and Yuma are well over 100°. 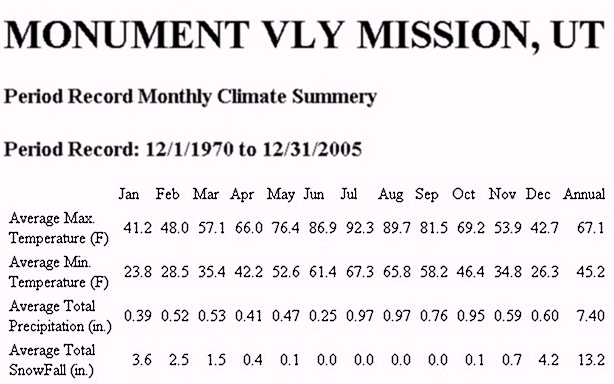 Remember these are averages tempuratures and that half the days are over the average. 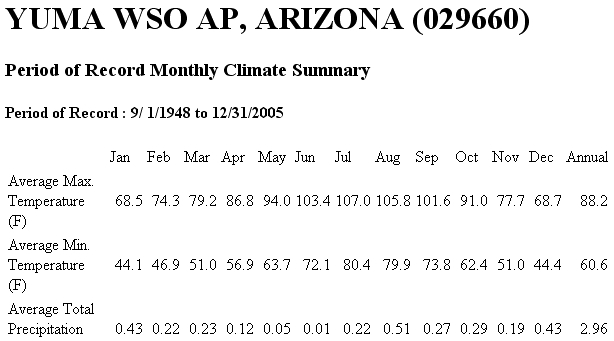 It is not my idea of fun in June, July or August, driving thru El Centro and Phoenix. 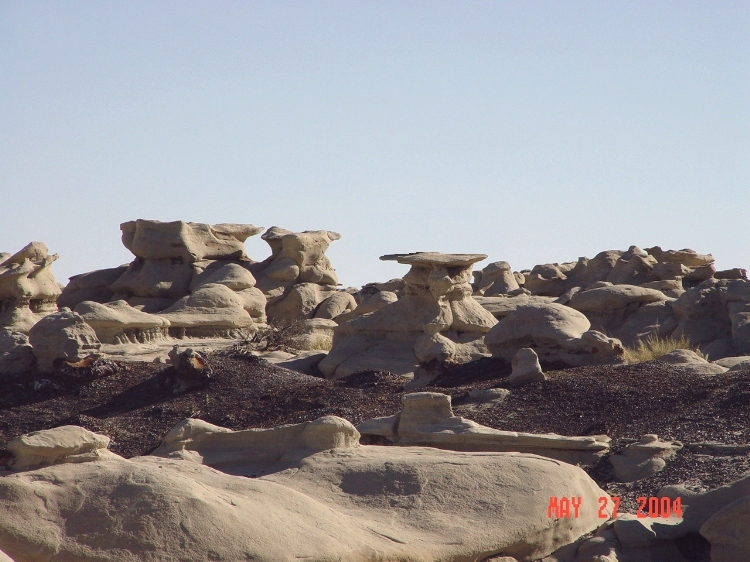 Some Views of the Bisti. 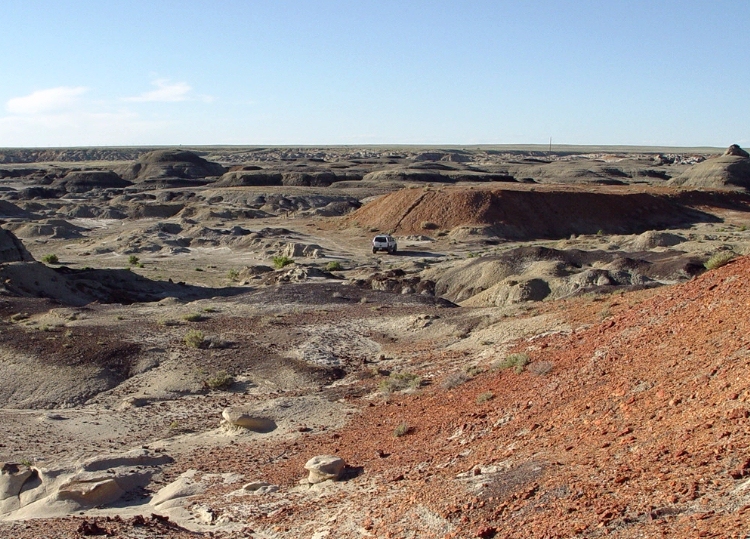 Area is noted for dinosaur fossils. If you are fortunate, you may find one! Wild aborigine women are very friendly -- even took us home!